Do you like Gravi Jelly? Share it with your friends. 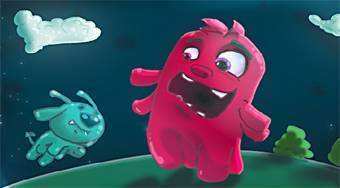 Gravi Jelly is a very good logical flash game where you have a total of twenty-two different levels of complexity with elements from the popular tetris. In each round, rotate the playing surface so that the colored gelatin cubes come together and then remove them by clicking on groups of three.